I was lucky enough to interview Martin Landau when he was in London for the Film Festival premiere of Frankenweenie. Like a lot of 70s kids I first discovered him as Space:1999′s haunted looking Commander Koenig. When discussing his career at a recent BFI event he described with remarkably sincere detail the living conditions on Moonbase Alpha and why they couldn’t procreate. It is that level of earnestness that characterises his approach to all his roles — TV or Oscar nominated/winning film parts for renowned directors such as Ford Coppola, Woody Allen and Tim Burton. For The Strand –the BBC World Service arts programme — I focussed on his roles of darkness. He proved delightful company and a witty mimic. Sadly he never had time to finish telling me his theory (complete with Olivier and Richard Harris impersonations) of why he thinks British actors drank so much. 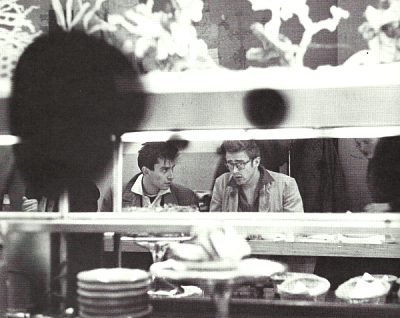 But he spoke movingly and protectively about his best friend, James Dean, from his student days. You can listen to it here. And this is my Big Issue column about what Landau taught me about measuring success and the obsession with a youth-based career. When I was a teenager I thought I’d have to write my brilliant first novel by 21 to be like Francoise Sagan. In my late 20s, friends unhappy in their work, started thinking about changing careers before 30 – somehow doing so after would be “too late” to avoid being regarded as a failure. I even made a pact with a fellow hack that we would marry each other if we didn’t find anyone else by the start of our 4th decade. (Luckily for both of us that proved unnecessary). The urge to succeed young has been a curse to us all. But last week at the British Film Institute I met the man who had secretly been preparing me to throw away my ticking career achievement clock. As a 70s child I’d watched the avuncular Captain Koenig on Space 1999 struggling to keep his band of lunar survivors alive in the face of malign alien encounters. I didn’t know then that Martin Landau had been James Dean’s best friend, Marilyn Monroe’s boyfriend, and a contemporary of Montgomery Clift. They had all died young and turned into icons. 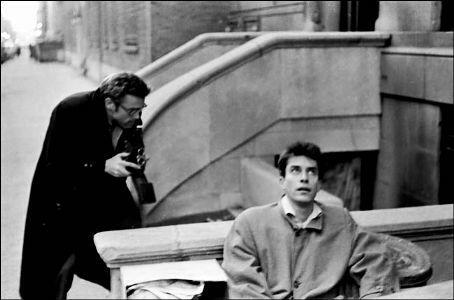 Landau, who was one of only 2 students in his year to pass an audition for the Lee Strasberg Actors’ Studio (the other was Steve McQueen) didn’t. You can see his early promise as the strikingly handsome and cruelly malevolent henchman, Leonard, in Hitchcock’s North By Northwest (1959). In one of cinema’s most famous scenes the hero Cary Grant is holding a dangling Eva Marie Saint by one hand, hanging by his fingertips off a ledge of Mount Rushmore with the other; an abyss of rocks below. 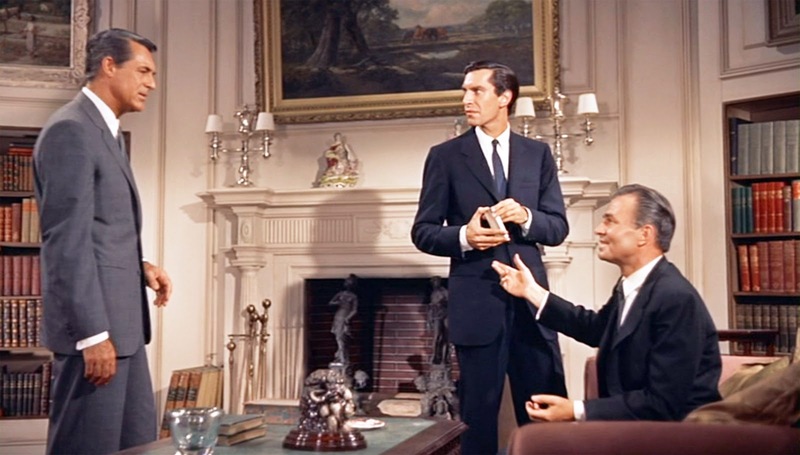 A steely eyed Martin Landau is standing on his hand, and pressing down hard with his sharp leather shoe. But despite some other film roles, his CV through his 20s, 30s and 40s showed a jobbing actor playing parts in almost every TV series going: Westerns, Sci Fi, cop shows. Despite enjoying success in Mission Impossible, he turned down the role of Mr Spock in Star Trek – uninterested he said, in playing a part without emotion. In the leanest years, he took on such humiliating fare as The Harlem Globetrotters On Gilligan’s Island. One day watching the Oscars at home in his underwear, in 1984, he fumed that it should be him up there. He recently told The Times that he was aware that he was at the height of his powers. A great part finally came. I can still remember sitting in the cinema in 1988 watching Francis Ford Coppola’s Tucker: A Man and His Dream and suddenly realizing Martin Landau was up there dominating the film, as a broken man, whose shameful secret has been uncovered. He got an Oscar nomination and then another, the following year, for Crimes and Misdemeanors — Woody Allen’s greatest and darkest film. Five years later he won for Tim Burton’s Ed Wood. For the tragic-comic part of the dying horror star Bela Lugosi, Landau said he went round to visit all the houses Lugosi had ever lived in, noting their gradual shrinking in size and grandeur. He saw every Lugosi film he could, from the greats like Dracula, to the schlock of the final years. 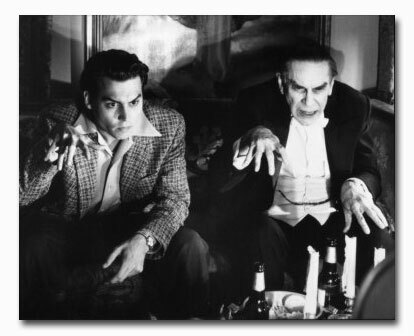 Most significant of all, Landau noticed how Lugosi’s billing on his films had shrunk from top, to shared with Boris Karloff, to smaller and lower, until he disappeared. It must have been a strange experience for Landau, whose greatest roles and critical recognition have only come after 60. But it was an inspiring story for fans watching him speak at the BFI last week. For the sci fi geeks, he could describe the details of living conditions on Space 1999’s Moonbase Alpha as if it were a real place. For the cineastes he recalled in detail storyboarding with Hitchcock and how he used his teenage training from his first job as a cartoonist on the New York Daily News to visualise his film characters. 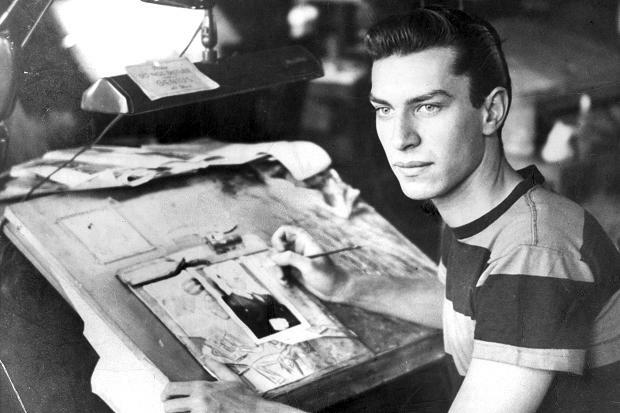 Then Martin Landau opened his jacket to show us the row of drawing pens he still carries everywhere. At 84, he is the embodiment of the satisfaction of work well done and a life well lived, without a care for how long it takes to make it. This entry was posted in Film, Radio, Science, TV, Uncategorized and tagged 50s, cinema, Crimes and Misdemeanours, Dracula, film, Francis Ford Coppola, Frankenweenie, FTW, Hollywood, James Dean, Martin Landau, Mission impossible, Mr Spock, Space 1999, Star Trek, The Strand, Tim Burton, Tucker, tv, Woody Allen, zombies. Bookmark the permalink. Thanks so much! He was utterly brilliant to talk to.